The IHP Policy Brief Series aims to share with a wider policy and advocacy audience the results and thinking generated from IHP research and analysis. 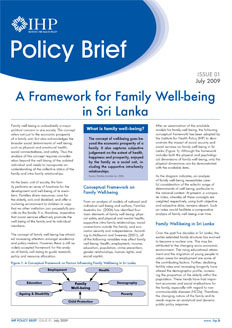 The Policy Briefs are generally short and concise discussions of key issues and recommendations, and intend to inform policy makers and stimulate timely discussion on pertinent issues. 1 - 1 of 1 publications found, listed by date.